I'm lds and I like it. I was disappointed that the Podcast does not actually contain interviews like in the film. 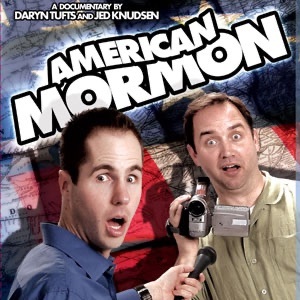 It is somewhat entertaining, however, that they set out to discover what misconceptions Europeans have about the Mormons, while at the same time proving how ill-informed they are about Europe. Some of the conclusions they draw are quite incorrect. Great locations. Great Mormon (LDS) insight. Not bad at all, as far as podcasts go. Wouldn't necessarily be funny to someone who's not a member of the Church of Jesus Christ of Latter-Day Saints. But to those who are and have experienced some of the misconceptions out there, then it could provide a few chuckles. Some people are as ignorant about Mormons as they are about world geography.